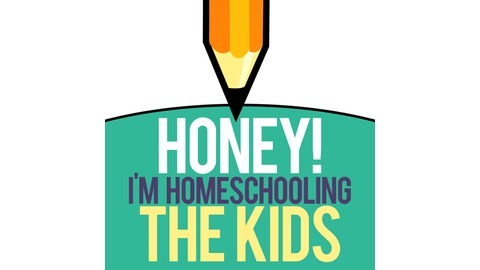 Honey I'm Homeschooling The Kids! 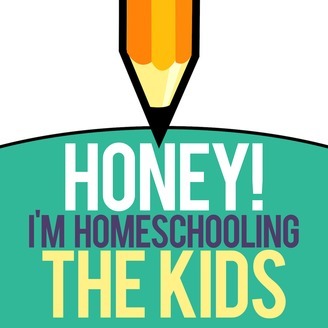 - A podcast that steps into alternative education, parenting, and living a fun, fuller family life. "Life is a gift and we need to celebrate now." Karen Ricks left me with many warm words of wisdom through this interview. Talking to Karen felt like I was catching up with an old friend that I had met in another time. We share many things in common. We are both women of colour in a mixed race marriage. With mixed race children. We have taught, lived and started families in Asia. We are Worldschoolers. (Although my long term travel is currently on hiatus).Our husbands are writers. I could go on. Karen is a Montessori teacher and Montessori School Founder. Mother and wife. A digital nomad and Culinary artist gifted in making learning and connection come to life in the kitchen. She tells us: play with your food. In this episode Karen shares her story on becoming global. They started with a one year plan to teach english in Japan. This turned into 10 years spanning 8 different countries and 4 different continents. From Japan to Italy. Italy to Mexico. From Mexico to Albania and many countries between. Karen starts by sharing her rich memories of Japan. What was it like as a mixed race American family that was "outside people's realm of experience"? Despite the differences, Karen and her family found a strong community in Japan. Then they felt the impact of the 2011 Earthquake and Tsunami. It became the motivating force behind starting their International Montessori school. "If that future is not promised, we need to do what we want to do, right now." Karen you are a reminder to seize the day. How does a family afford to travel the world? Karen and her husband are digital nomads. They don't need a fixed address. Only a computer and internet access. Karen has found many unique ways to create a business around her many teaching skills. She teaches music online, figure skating, and cooking. I am most drawn to is her culinary community. In Japan Karen saw how drawn her families were to the daily lessons that she created in the kitchen. They explored the world through the kitchen. They discovered Cultures. Practiced Languages. Foods were created, sampled and brought into every lesson. Of course! Food is science, math and language. The process that is shared in cooking creates a rich learning environment. Karen has taken this global in her Play With Your Food Community. Karen is empowering parents to embrace their role as their child's best teacher. She does this through cooking. The world she explores through her culinary life is remarkable. She not only helps parents cook with their children but helps them understand the reason why it's important. Where is the food sourced? What does it feel, taste, smell and look like? She says the kitchen is the playground, from the preparation to the clean up. In the Play With Your Food community it is about building bonds with your child. She centres it all around fun and play. Karen is all about being herself. This is something that world travel has taught her. She recognizes who she is, what she believes and what is important. And her desire to be fully present for every experience continues to grow. To Connect With Karen please go directly to https://www.facebook.com/groups/WePLAYwithOurFood/ and let her know that you heard her on the show! To hear from another worldschooling mom and digital nomad check out Jaime Salonen on this episode.